The Hangzhou Spark joins the jam-packed lineup for 2019's Overwatch League in eye-popping pink as China's third new entry. 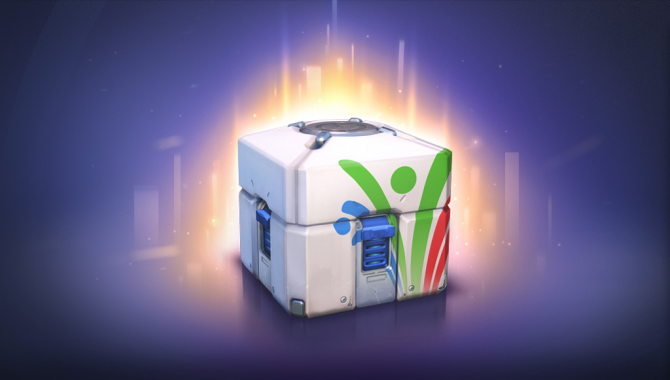 The Overwatch League reveals are coming in thick and fast as we countdown the remaining teams to be unveiled. The last few weeks have seen new teams joining the league from Asia, Canada, USA, and Europe. The latest in this string of new blood is China’s Hangzhou side. Running under the name The Hangzhou Spark, this team marks is the third new entry from China following closely int he footsteps of The Chengdu Hunters and The Guangzhou Charge. 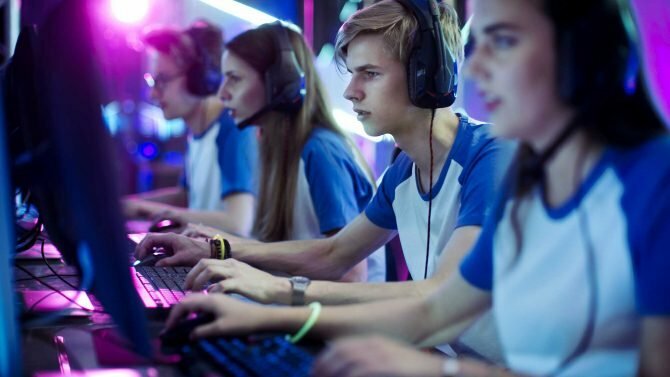 The Hangzhou Spark hails from the Zhejiang Province under the banner of newly formed competitive gaming company Bilibili eSports which was established in February of this year. 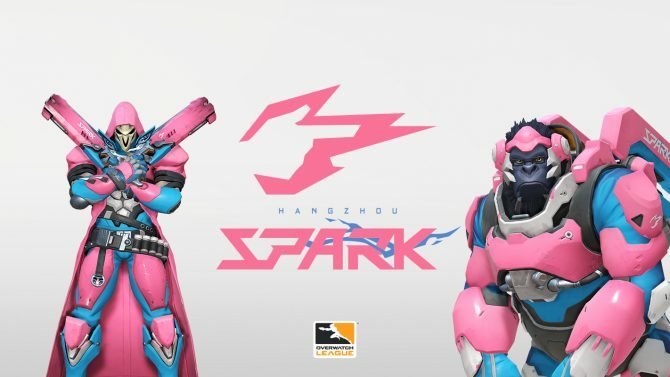 The Hangzhou Spark’s primary team color is a light pink. This is accompanied by a bright blue along with patches of black to create an eye-catching combination. This can be seen in the image below as worn by Overwatch’s Reaper and Winston. The team’s logo depicts a stark white hand making a firing gun gesture. This is surrounded by a pink electrical spark effect. 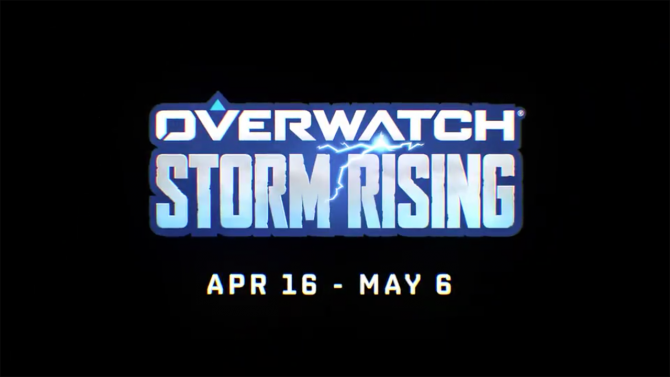 Beneath, we see “Hangzhou” written in thin blue font atop of the word “Spark” which is displayed in a futuristic font with tilted lettering and a bolt of lightning running through it. The team’s name is inspired by speed and power along with the electric nature of the brand. The Hangzhou Charge will be one of eight new teams joining the upcoming Overwatch League when it kicks off on February 14, 2019. The popular team-based shooter is available now on Xbox One, PlayStation 4, and Pc. It can also be picked up on Amazon.